Dubai: Housing costs in Dubai remained generally cheaper in August compared to the previous month, but some tenants in popular communities are still seeing price increases. The latest property review showed that rents for most apartment types in Dubai dropped by 5 per cent in August. A closer look at the prices in different localities, however, would reveal contrasting trends, with values in popular areas like Bur Dubai, International City and Jumeirah Lake Towers (JLT) still moving upwards. “Affordability remained the centre of discussions in Dubai and the city’s rental market reflected just that in August 2016. To the delight of renters, Dubai’s apartment rental market saw values edge down further,” stated the latest report by Bayut.com, a property portal with thousands of property listings. The property specialist’s August 2016 report had the median price for studio units across various locations at Dh54,000, which amounts to a 5 per cent decline from the previous month. In International City and Bur Dubai, however, studio units posted rental increases of 4 per cent and 11 per cent, respectively. Rents for one-bedroom flats increased slightly by 1 per cent to Dh93,000 on average in August, while two-bed units cost Dh142,000 on average, posting a 2 per cent decline. One-bedroom properties in Dubai Marina remained unchanged at Dh101,336 per year, but in Business Bay, prices dropped by 3 per cent from Dh96,324 to Dh93,786. 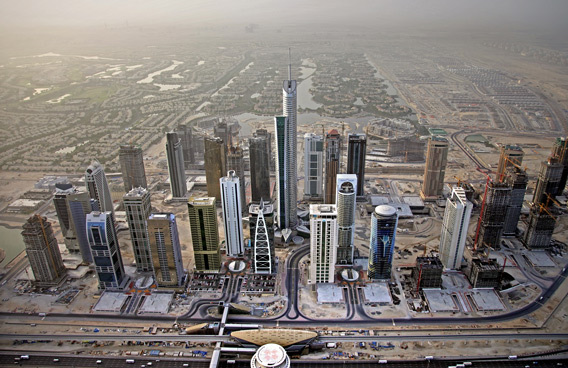 In Jumeirah Lakes Towers (JLT), International City, Downtown Dubai and Bur Dubai, prices for one-bed flats went up by 3 per cent, 5 per cent, 1 per cent and 11 per cent, respectively. Prices also weakened for three-bed apartments, which registered a 4 per cent drop from Dh206,000 in July to Dh197,000 in August. Accommodation costs in Abu Dhabi, however, continued to exhibit strength in August, with the average rental values registering an increase of 3 per cent over July 2016. “The two main markets of the UAE continued to lure investors with relatively affordable prices and attractive rental returns on investment, with Dubai recording real estate transactions worth an impressive $43 billion by the end of August 2016,” the report said.